Since three years or so, Nigerians have known litter or no peace, following the way and manner things are going in the country. The present administration under the watch of President Muhammadu Buhari of the All Progressives Congress (APC), is not helping issues. It has rather compounded the situation by exhibiting incompetence and insensitivity. One can be tempted to say that those in power are not prepared to lead the country, as they have little or nothing to show as their achievements since the inception of the administration some three years ago. Today, no right-thinking Nigerian can be bold to appreciate the administrative style of President Buhari and the happenings in the country, especially in the areas of economy and security. The economic weather in the country is not only harsh, but also scorching. It is quite regrettable, considering the fact that the immediate past President of Nigeria, Dr. Goodluck Jonathan, and his team did well in the management of the nation’s economy. Nigerians observed this, but for the sake of emphasis, let me draw your attention to the recent statement made by former President Jonathan. He said, “I took over a Nigeria that was the second largest economy in Africa with a GDP of $270.5 billion in 2009. I handed over a Nigeria that had grown to become the largest economy in Africa and the 24th largest economy in the world with a GDP of $574 billion. “I inherited epileptic fuel supplies, resulting to endless queues at the filling stations. I maintained despite enormous challenges of fuel subsides and handed over a relatively stable fuel regime and also at a managed local price of N87 per litre”. The truth of the matter is that the cost of living then was better than what we are experiencing today. Many business outfits in the country have gone moribund as a result of bad economy. The existing ones are managing to survive. In all, Nigerians are suffering untold hardship orchestrated by bad governance. In the area of security, I can say that Nigeria is not making any headway. Nigeria is now a country where people armed with sophisticated weaponry, including AK-47s, rocket launchers, dynamites and machetes, operate with little or no harassment by the security operatives. Available statistics shows that over 50,000 innocent Nigerians have been killed by Boko Haram and Fulani militia since 2011. However, it is important to note that the present administration has not done much to address the problem of security in the country. This may be seen as why the Fulani herdsmen operate the way they like, terrorizing and killing people unnecessarily. The United States Council on Foreign Relations (CFR), in its recent report, said that it had documented at least 19, 840 deaths in Nigeria, since 2015, just after President Muhammadu Buhari assumed office. While the United Kingdom-based Christian Solidarity Worldwide, revealed, “during the first quarter of 2018 (CSW) documented 1061 deaths in 106 attacks by the Fulani Militia on Communities in Adamawa, Benue, Plateau and Taraba states, with an additional 17 lives lost. CSW also documented seven instances of violence targeting Fulani herders or Communities in which 61 people lost their lives”. The point I want to make is that virtually every sector of the economy is bad, meaning that there is a big problem in the country. The question now is, who, among the array of presidential aspirants in the PDP and other political parties in Nigeria, has the capacity to lead the country out of the present predicament if given the opportunity to serve as president in 2019? This and related questions are seriously begging for attention, as the 2019 general elections draw closer. Actually, there are many people jostling for the office of the President. Some are serious, while others are contesting for the sake of it. As citizens, they may like to exercise their constitutional rights, thereby making the game very interesting to watch. That is the beauty of democracy. But the concern of Nigerians now is not the number of people who have indicated their interests to run for the position, rather their antecedents and political credentials. Hence, what Nigerians want to know is the stuff they are made of before supporting any of them. It is a fact because the electorate are desirous of electing somebody who knows the game, as president. They are of the view that only a credible person who is familiar with the trend can effect positive change. To achieve this objective, some political pundits in the country have painstakingly assessed all the presidential aspirants, including those in the PDP. At the end of the exercise, it favoured the former governor of Sokoto State, Alhaji Attahiru Bafarawa, who is a PDP president aspirant, as he was seen as the best among all. They scored him higher because of his track record, intimidating political credentials and experience in the field of politics. 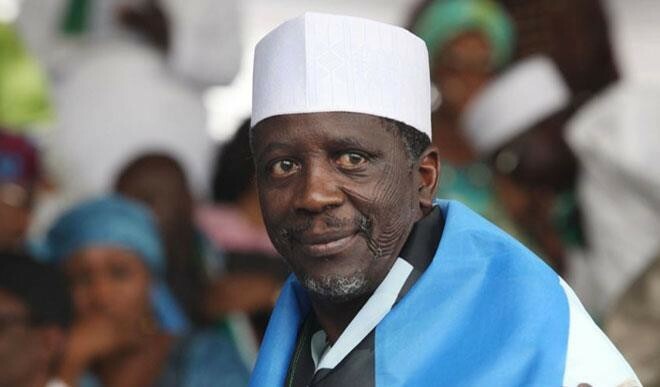 The position of the political analysts is quite undisputable, considering the fact that Bafarawa, in the first instance, is one of the most experienced and oldest politicians in Nigeria, having joined politics in his early 20s, precisely in 1976. And it is worthy of note that he has been in the art of politics from that time till date. His consistency, no doubt, makes him more popular than his contemporaries. Dr. Amanze Obi, in a piece captured “A professional in the Saddle”, published in the Daily Sun of Thursday, August 16, 2018, in his weekly column, “Broken Tongues”, captured it all. He said, “A casual encounter with him will readily tell the story. His journey into the murky terrain of politics dates back to 1976, when he contested and won election as Councilor. Upon assumption of office, he was made a supervisory Councilor, a position that elevated him among his pack. Bafarawa was in his early 20s at the time. Since then, the man has remained in politics, traversing the political landscape with assured steps. He has contested election to the National Assembly. He has midwifed the formation of political parties, notably the United Nigeria Congress Party (UNCP) and Democratic Peoples Party (DPP). He has been party Chairman at state and National levels. He contested and won election as a delegate to the National Constitution Conference of 1994 to 1995. He has been governor”. With these credentials, one can simply testify that Bafarawa is grounded in Nigerian politics, that he has acquired much knowledge in the political sector. This is why he sees himself as a professional political. Commenting on this, Dr. Obi noted, “Bafarawa’s selling point is not his past romance with the highest office in the land. What goads him on is his long standing involvement in politics. The former governor prides himself on being a professional politician. He savours his wide spectrum of experience in politics, a quality that many politicians in Nigeria are bereft of. A vote for Bafarawa who took a whopping 4.6 billion Naira public funds from Jonathan for spiritual consultations during the 2015 general elections is a vote for “barawo”!